Your tenants are not your enemies. They are your assets, protectors of your property, and over all your customer. I often hear from different forums the tone “landlord versus tenants.” That attitude and belief is guaranteeing the fact that you will have a horrible experience. 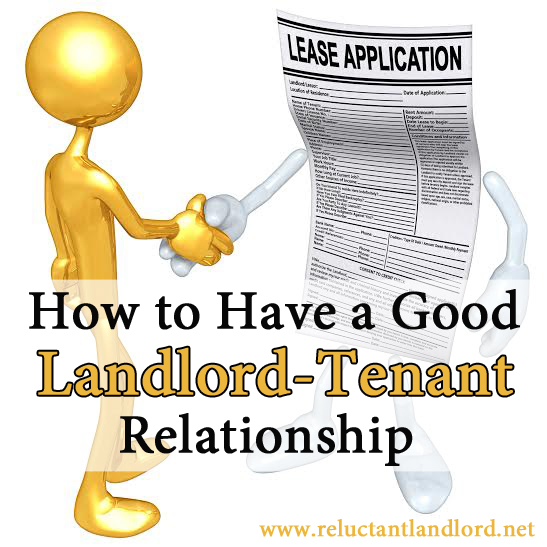 Instead, you can have a good landlord-tenant relationship, and I can give you some tips on how to do that. Remember you catch more flies with honey than vinegar. Great tenants are my biggest assets and nightmare tenants are my worst fears. With two years of experience working with different tenants on nine houses I manage, and many more as the helpful adviser, I have found that 80% of the time, the situation can be diffused through one simple motto: Treat Others How You Wish To Be Treated While Remembering You Are Running a Business. Send a friendly note saying you haven’t received rent and are following up as things can get lost in cyber space. 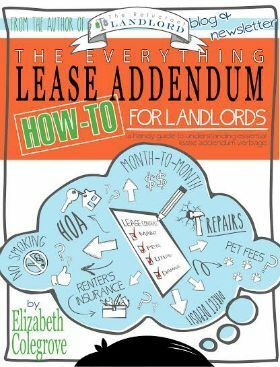 In my experience this has solved the problem every time and kept the good landlord-tenant relationship. It eventually won’t though, which is why I also have a lawyer’s phone number in my back pocket. But start out with friendliness first and the lawyer and “meanness” last. 2. Being right doesn’t mean your house or pocketbook wins – The point of this game is not being right but keeping your house in great condition and occupied with a paying tenant. I once told a tenant possession is 9/10th of the law. Yes, she could demand her security deposit back, that would only cause issues because the landlord was still within the window of her legal limit. Instead she would be better off sending a polite “follow-up/reminder.” Because even if she is right and the landlord doesn’t return it on time, the only way to win is going to court. In that instance, are you truly winning? 3. The customer is not always right, but say no politely – It is human nature to push the boundaries. Children do it, adults do it, lawmakers do it, we all do it. If you start with the no gently, redirect, or create a yes, then you can build a friend instead of an enemy. I had a tenant recently ask for upgraded flooring. The house was rented on a 3-year contract for the price it was because it wasn’t upgraded. Unfortunately, it wasn’t in the budget. Instead of saying no, we said yes with an increase in the rent, splitting the difference. Now it was in the tenant’s court. They decided it wasn’t worth it to them and we kept a good landlord-tenant relationship. As humans we get too emotional and as a red head, trust me I am often very guilty. When we start thinking with our hearts and not our brains, being wishy-washy or changing our minds, it causes a lot of turmoil. This is how business can turn south quickly instead of maintaining a good landlord-tenant relationship. I once saw a particular messy posting on one of the forums. A member was describing a messy situation for a friend that needed some advice. I remember asking, “Is it a bad tenant or did the landlord cause it?” They said it was totally the landlord’s fault. When in doubt always get someone else’s thoughts on a situation. There is a reason why the saying “fresh eyes” exist. I personally bounce ideas off my husband and fellow landlords all of the time. When in doubt ask family, another landlord, or feel free to email me!